It may be one of the smaller national parks, but Acadia is by far one of the most scenic and picturesque parks in the U.S. Whether you come in the fall to enjoy the stunning foliage, or visit in the summer to swim in the Atlantic Ocean, Maine is a beautiful area to tour. Seaside villages offers shops for antiques, fresh lobster, and homemade fudge, while the national park houses rugged trails for hiking and biking. 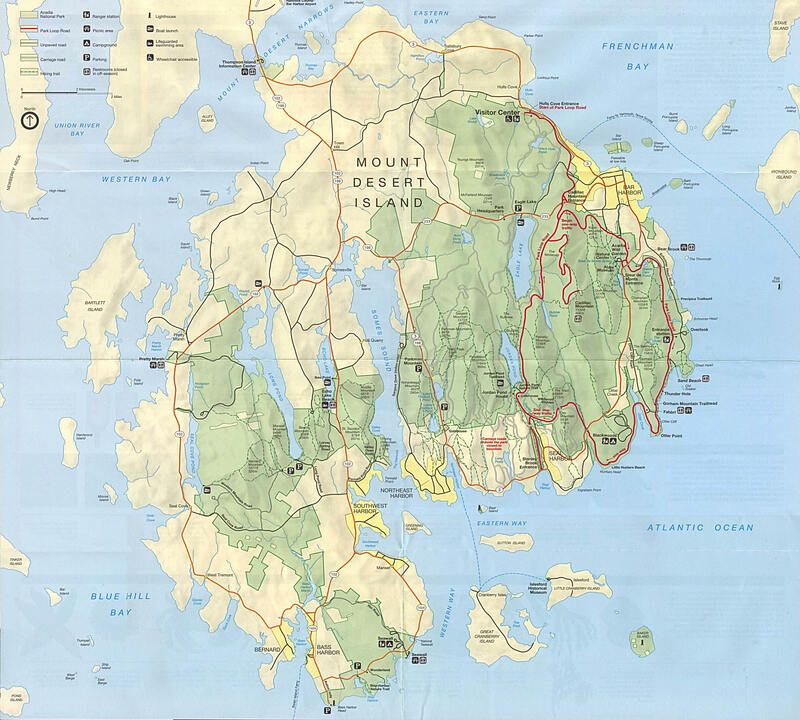 Over 20,000 years ago, Mount Desert Island was once continental mainland that was covered with glacial sheets of ice. As the ice melted, valleys were flooded, lakes were formed, and mountainous islands were shaped. In 1604, Samuel de Champlain first explored the coast but it wasn’t until the mid-19th century that people began to build cottages along Mount Desert. To preserve the land, they donated the main area of the park, formerly known as Lafayette National Park. The park is one of the nation’s smallest and actually relied on donated land until Congress set official boundaries in 1986. The main visitor center is open from mid-April through October, but the park is open year-round. 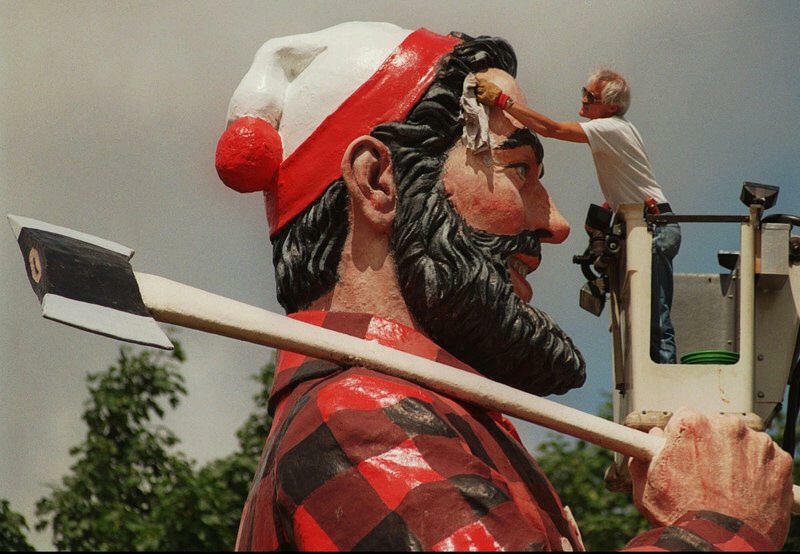 Crowds are most prevalent during July and August, as the park boasts some of the best fall foliage on the east coast. If you are looking for a great cross-country skiing destination, try Acadia in December. An entrance fee is required from May 1 to October 31. From June 23 to October 12, the private vehicle fee is $20 for a seven-day pass. The same pass goes for $10 from May 1 to June 22. Those entering by foot, bike, or motorcycle will be charged $5 to enter. An Acadia annual pass may also be purchased for $40. Standard Park Passes, such as a senior pass, may be used at Acadia as well. Note: Camping fees are in addition to entrance fees. 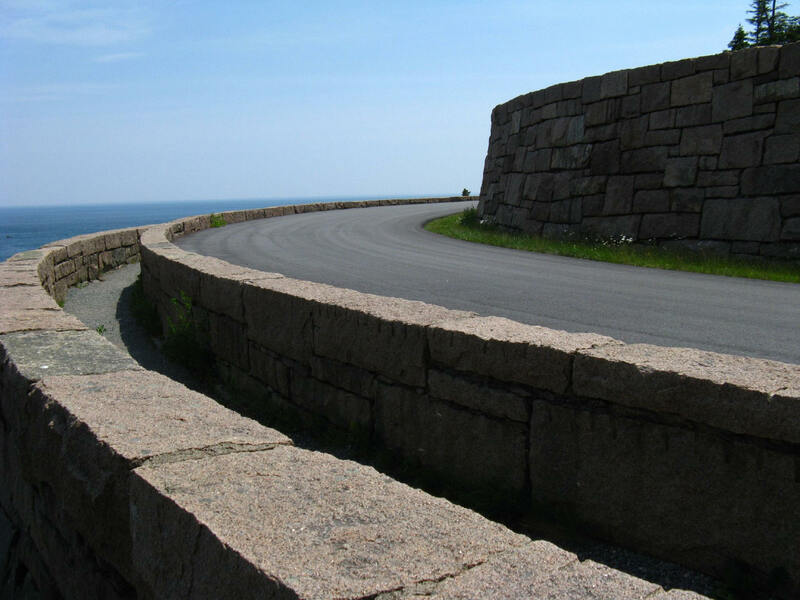 Cadillac Mountain stands 1,530 feet high and is the highest mountain on the east coast north of Brazil. Grab a blanket and head up to the top, accessible by car or foot, and catch the sunrise for an amazing view of the coast. Two worthwhile stops are the Sieur de Monts Spring Nature Center and the Wild Gardens of Acadia, both touring the habitats of Mount Desert Island. Since pieces of the national park are located on islands, be sure to check out Isle au Haut, as well as little Cranberry Island—which houses a historical museum. Before being renamed in 1918, the mountain had been called Green Mountain. The new name honors the French explorer and adventurer, Antoine Laumet de La Mothe, sieur de Cadillac. 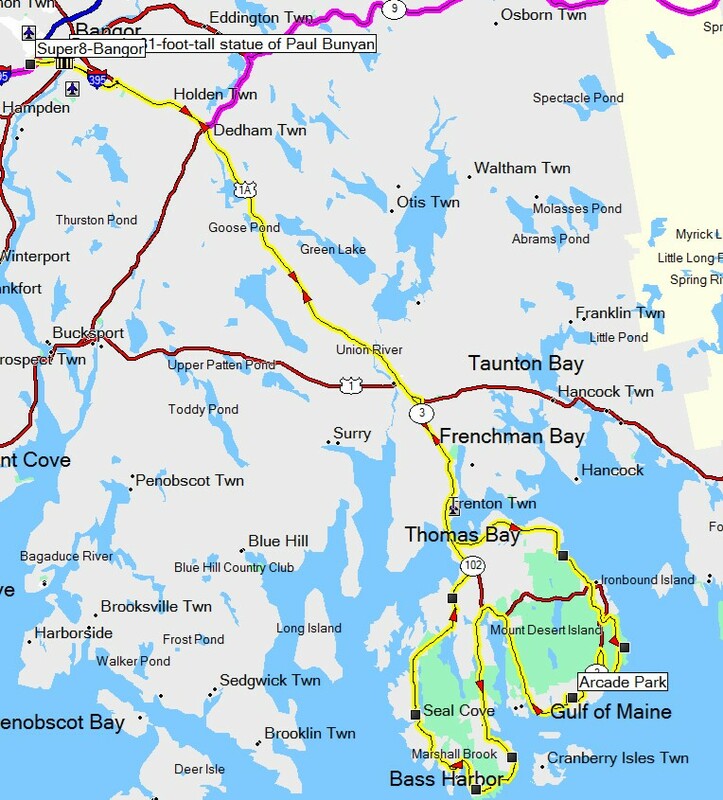 In 1688, De la Mothe requested and received from the Governor of New France a parcel of land in an area known as Donaquec which included part of the Donaquec River (now the Union River) and the island of Mount Desert in the present-day U.S. state of Maine. Antoine Laumet de La Mothe, a shameless self-promoter who had already appropriated the "de la Mothe" portion of his name from a local nobleman in his native Picardy, thereafter referred to himself as Antoine de la Mothe, sieur de Cadillac, Donaquec, and Mount Desert. From 1883 until 1893 the Green Mountain Cog Railway ran to the summit to take visitors to the Green Mountain Hotel on the summit. The hotel was burned down in 1895. Also in 1895, the cog train was sold to the Mount Washington Cog Railway in New Hampshire. 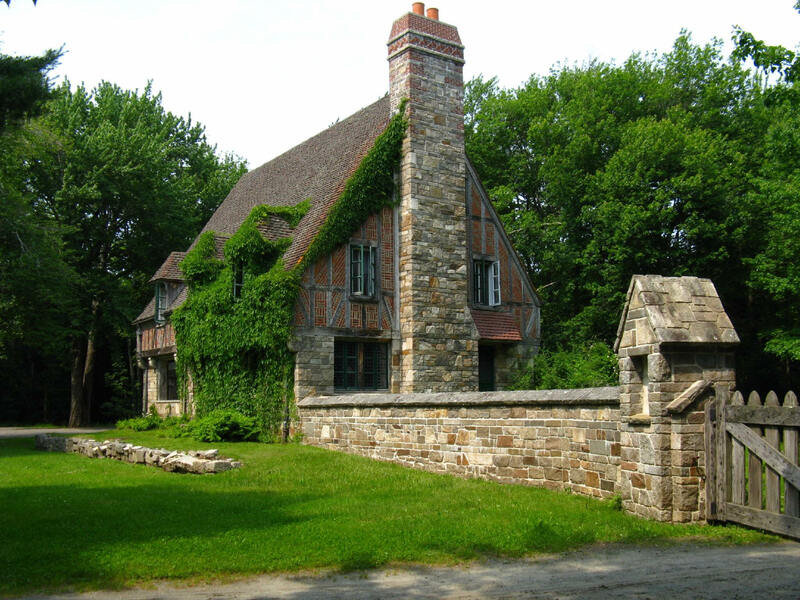 Jordan Pond Gate Lodge was built in 1932. 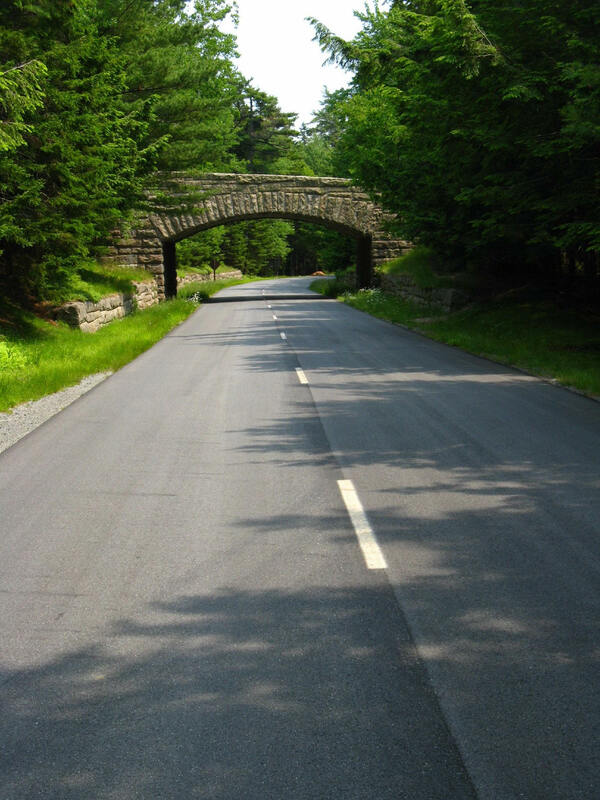 It served as a symbolic entryway to the car free Carriage Road system which criss-crossed the Park.